As you age, time takes an inevitable toll in the form of wrinkles and fine lines, especially on your face. To combat the appearance of these creases and lines, Dr. Samuel Siegler II at Texas Family Practice Associates offers Botox® Cosmetic, an effective treatment that restores a more youthful appearance to your face. If you’re in the Houston area, call or book an appointment online to find out more about this cosmetic solution for an age-old problem. Botox is an FDA-approved treatment made from a toxin produced by Clostridium botulinum bacteria. The Botox injections temporarily improve the appearance of moderate and severe frown lines on your forehead and crow’s feet around the sides of your eyes. Every time you laugh, smile, or squint, you’re contracting the muscles beneath the surface of your skin and, over the years, these repetitive movements cause fine lines to form and deepen. Add to this the fact that your skin loses elasticity with age -- meaning it’s increasingly less able to rebound from constant use -- and you have the perfect recipe for wrinkles. While it’s hard to avoid smiling or laughing, and who would want to, Botox offers a way to reduce the muscle activity that causes your skin to wrinkle. Botox injections work by relaxing the muscles that create the wrinkles. How many Botox injections do I need? The number of injections you need depends on the area you want to treat and the severity of your lines. 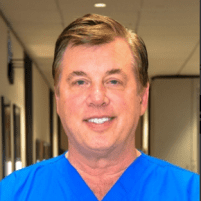 During your initial consultation, Dr. Siegler reviews the problem areas and comes up with a plan that meets your goals. In many cases, he injects three areas around each eye to tackle crow’s feet and five areas along your forehead to address frown lines, but treatment is individualized based on your needs. The FDA approved the use of Botox as a cosmetic treatment in 2002, and the injections are considered quite safe. The most common side effects from a Botox treatment are minor swelling or redness at the injection site. In rare cases, allergic reactions have been reported, which is why it’s always best to turn to an expert physician like Dr. Siegler who has experience administering Botox. To learn more about how Botox can erase the years from your face, call Texas Family Practice Associates for a consultation or book an appointment online.